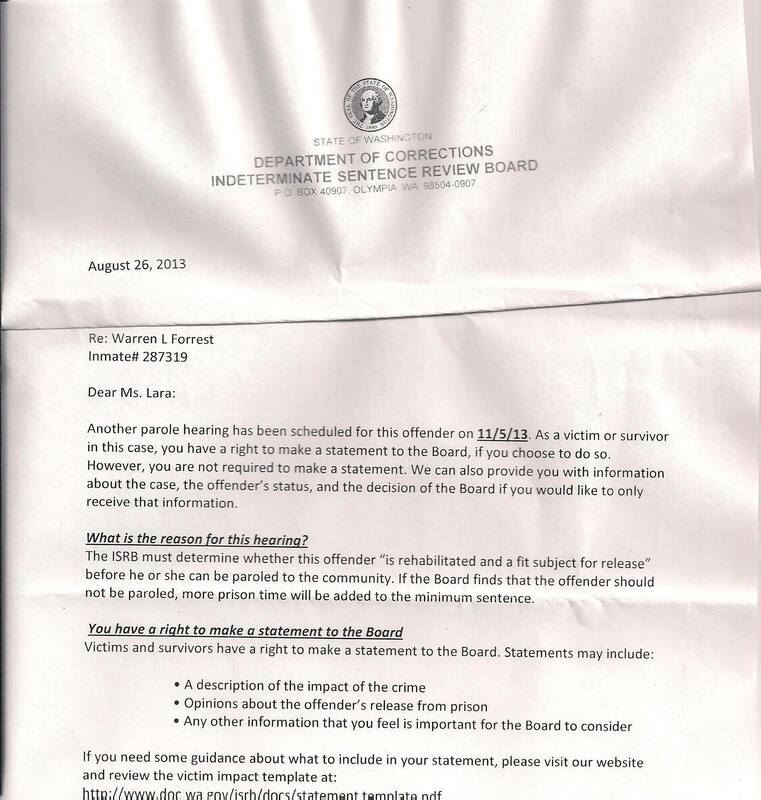 Here is the parole board information. Let’s give him NO HOPE EVER of getting out. Someone has more information on at least one of these murders. Let us get him on another, so he can truly receive life without the possibility of parole ever!! Read this and you will see, he is convicted of one murder, leaving two teenage girls for dead. Count that, three he wanted dead. Not to mention my sister and the others that are dead. BATTLE GROUND, Wash. (KOIN) — Between 1971 and 1974, Warren Forrest worked for the Clark County Parks Department. During that same period, at least six different women disappeared. Many of their bodies were found in shallow graves. 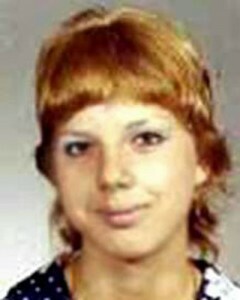 Jamie Grissim was 16 when she went missing after school on December 7, 1971. 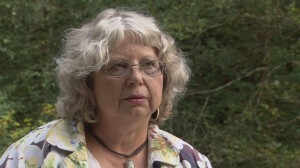 Her purse, ID and other possessions were found in the woods northeast of Vancouver, near the remains of two other people in 1972. Then in 1974, two women’s bodies were discovered near Dole Valley, an area where Grissim’s ID was found — and where Warren Forrest frequented as a parks worker. One body was identified at Carol Valenzuelas. The other has never been ID’d. Authorities believe Jamie Grissim was the first of eight victims attacked by Forrest. 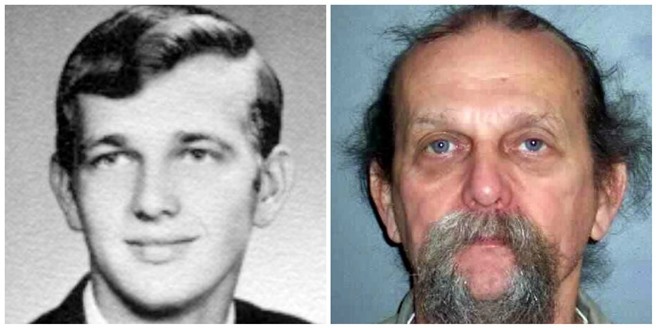 Two managed to escape, but authorities were only able to connect him to one murder — the one with the most physical evidence. In 1979 he was convicted of killing Krista Kay Blake, a 19-year-old from Vancouver. Her body was found on Clark County Parks property in a shallow grave, partially disrobed with her hands and feet hogtied. He was sentenced to life in prison — before mandatory sentencing laws took effect. Now, Warren Forrest is up for parole. In September, victims will provide statements to the parole board. It’s unclear what direction the parole board will decide.